The first time I heard about MPLS was when my organization was moving from smaller internet service provider to upper or what we call the upstream providers. It sounded so strange and new, so I went to the internet and read through some things about MPLS. MPLS is actually a CCIE concept but we that are opportune to be in the field, where every configuration and integration is done, never need a CCIE qualification to start doing advance technology. Although am not going do the configuration on this post because I get some things am working on right now. But in a short time, MPLS configuration will appear on my MIKROTIK label. Am going to use MIKROTIK RB750 for the configuration so I advice you stay connected. Meanwhile a look on a theory and principles before every configuration and integration is the beginning of success. MPLS is much different from the IP world you have dealt with so far. In cisco world, the concept of MPLS is based on CCIE, But the fact is that MPLS is much easier than it appears to be if you understand what the frequently used MPLS terminology means and what they do. In IP-based forwarding protocol, each router that receives a packet looks up the next hop IP address in its routing table and then forwards the packet to the next router until it reaches its destination. FEC is a group of packets with similar characteristics that are forwarded in the same manner over the same path and with the same forwarding treatment. This is the router where the MPLS process starts. An LER is a router that operates at the edge of an MPLS network and is the entry and exit point to the MPLS network. It is the LER that determines the path, pushes an MPLS label onto an incoming packet based on the path to be taken, and encapsulates a packet inside an MPLS Label Switched Path (LSP), defined below. The LER can also be the “Egress Node” when it is the final router at the end of an LSP and is the exit point from the MPLS network. When acting as the Egress Node, the LER removes (pops) the MPLS label from a packet before it is forwarded over IP or the underlying network. Also known as the transit router, the LSRs are routers that lie along a label switched path established by LERs between a source and destination pair. The function of an LSR is to perform MPLS label switching. When an LSR receives a packet, it looks up the MPLS label on the packet and determines the next hop along the LSP. The LSR then removes the current label and replaces (swaps) it with a new label based on the path and forwards the packet to the next LSR. This is the most basic concept of MPLS. An LSP is the pre-determined path established between two routers (LER) to route traffic in an MPLS network. An LSP is established over a sequence of LSRs based on the criteria in the FEC. 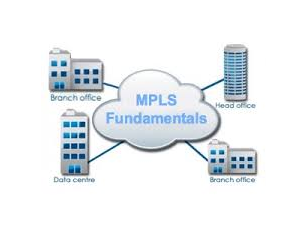 It is only after an LSP has been established that MPLS forwarding can occur. LSPs are unidirectional which means that return traffic is sent over a different LSP. LDP is another basic branch block of an MPLS network. LDP is used by LERs to establish a label switched path from a source to a destination. While there are multiple modes by which this is done, the common modes are downstream on demand, also known as solicited mode, and unsolicited mode. In downstream on demand or solicited mode, the upstream LER sends out an LDP label request to the next hop router determined from the routing table. The request is forwarded by each hop till it reaches the egress router and a return message that confirms the LSP is generated. In unsolicited mode, which is the most common mode, an LSR router broadcasts label mappings to all neighbors. The broadcasts are spread through the network till they reach the upstream or ingress routers that can then establish an LSP. ← Fix Unfortunately Google play Services Has Stopped On Your Android.